We made it as a joke on the Tonight Show! Original link. This is a video of horizontal disparity from a video stereo rig onboard the International Space Station. Specifically it was this camera. I used ffmpeg to split up the data into individual frames and then I applied ASP to the individual frames. I attempted solving for the focal length and convergence angle of this set but unfortunately I didn’t properly constrain focal length. (My algorithm cheated an brought its error to zero by focusing on infinity). Regardless, I’m pretty happy with the result from a Tuesday night at home. When I think of NASA Ames, I think of a center that does a lot of the initial work on projects. I always thought Ames was the place where the engineers ran the numbers and tested if spacecraft could transition through the atmosphere safely. Direct flight operations always seemed to happen elsewhere. It turns out that’s not entirely true as I happened to visit Ames’s very own Multi-Mission Operations Center (MMOC) last week. The group I hung out with was providing technical support for Astronaut Don Pettit who was installing an expansion port for the SPHERES robots. The challenging part was that the engineers are not allowed to talk to the Astronaut directly. There’s a lag in communication and the sound quality is not too great, so it would be very easy to confuse and frustrate the man in space. All engineers had to talk through PAYCOM in Huntsville, who would then repeat in one voice to Don. One funny thing to note, all the NASA positions, except Astronauts, are referred to by an acronym or location. So on the voice loops, we have Hunstville, Ames, PAYCOM, POD, and then simply ‘Don’ talking. My tour ended up being 6 hours of watching an Astronaut remove 12 screws in space. That sounds a bit gloomy, but there’s a reason for all of the delays. He needed a soldering iron to heat the screws and release the Loctite. This caused venting concerns which meant that Don had to spend time setting up a plastic enclosed workspace. Don also had to use specific numbers from MIT for his torque wrench to avoid stripping the screw’s standoffs. It’s pretty costly to send replacement parts back on to the ISS. Then in the middle of the job, Don had to fly off to watch Progress docking with fresh supplies. 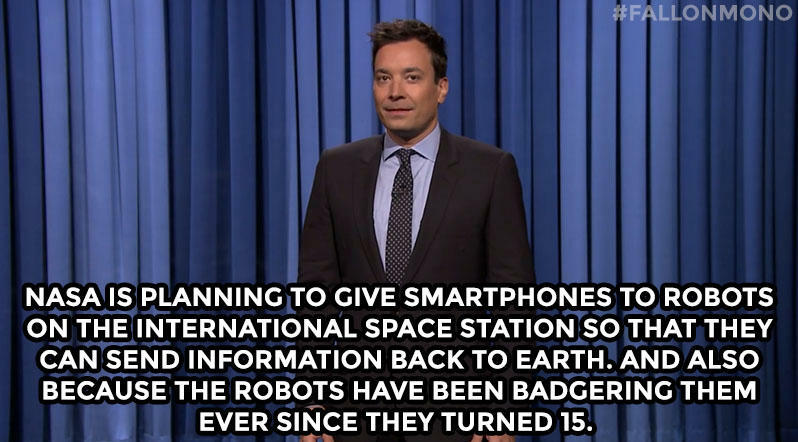 There’s also the problem where we don’t have continuous video or voice connections with the ISS. Every so often the engineers would have to deal with a 3 minute black out. These are not all the details of the problems that happened that day, but hopefully you can see how what would be a 30-minute job in your garage can become a massive pain to replicate on the ISS. During the downtimes, it was fun to just talk to the people on comms. I also found out that Ames has their very own clean room where they’re assembling LADEE. At the very least, the whole trip was worth the small glimpse into the stress that can be flight operations. It also showed me how Astronauts are micromanaged in space. Realize that those people live in a world where at least 6 other people are monitoring them remotely at all times. I freak out just when my boss walks by. Anytime I want to process Cassini ISS data, I always run into problems. This is largely because the documentation is lacking. Today is the day that is going to change. Here are my notes on how to extract ISS data of Iapetus, all for the low cost of free. I assume you have USGS’s ISIS3 installed. As usual, all NASA data can be pulled free from their PDS (Planetary Data System). Since I’m looking for Iapetus, I click ‘Saturn’ and then ‘Cassini Image Search’. 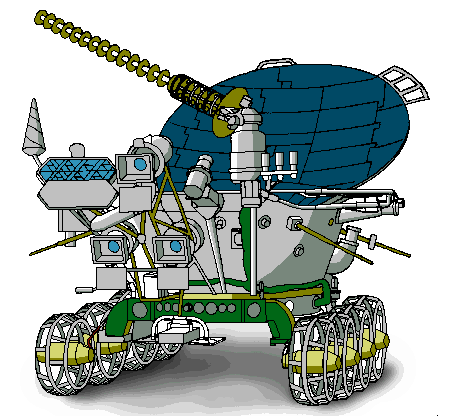 This will bring you to the Cassini Image Quick Search page. On the left side of the page, select the ISS instrument. Then select EDR under product type. EDR products are raw images while RDR are processed products like maps. 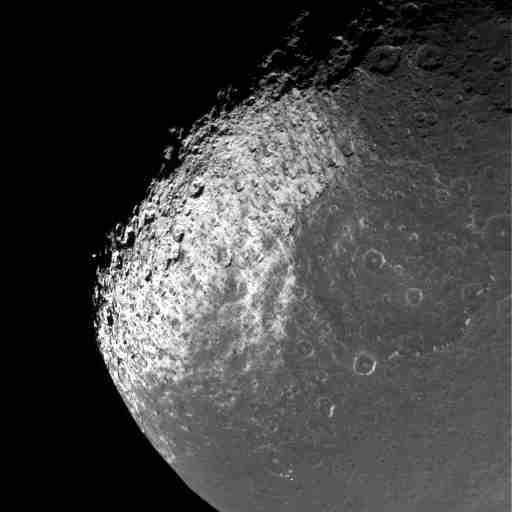 Finally under target name, select the option Iapetus. Click ‘Get Results’ on the far right. At the time of writing, there was 4025 records, or images available. Here’s where things get a little messy. 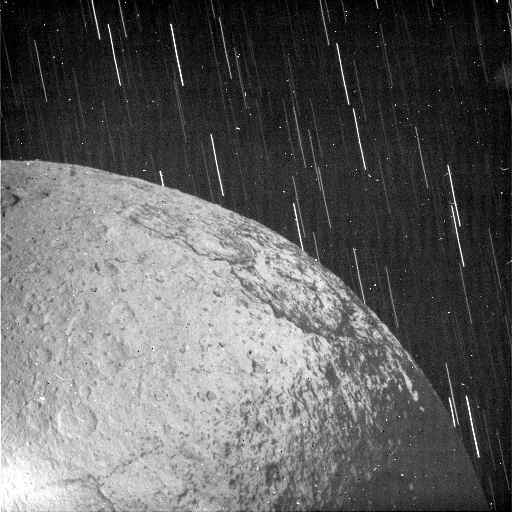 A lot of these images are of Iapetus from very far away. So far away that they wouldn’t be good for my projects. I’d like to sort these images by their distance. On the far right, under SELECT PARAMETERS FOR REPORT OR TABLE COLUMNS; I can add the column ‘Target Distance’. On the new column, I can click the up arrow and hopefully it will sort the images by who is closest. However it doesn’t work. In the middle of the page; PDS says “508 of 4025” products. The page is only sorting 1/8th of the total images of Iapetus. To correct this, keep clicking the ‘Get More’ button until it says “4025 of 4025” products. At this point we are ready to start downloading products. On the far right of the page, download the CSV file of the records they found along with the WGET product. When you open up the CSV file you’ll notice that they didn’t keep the images ordered in distance from target. Lame, I know. However, we use Linux and we can pull ourselves out of this. Here’s the bash commands I used to sort the file. Gurus can probably do a better job of this than me. Here’s how I filtered sorted_files down to only that mantissa like bit I wanted and then pulled out the respected lines I wanted out of atlas_wget_script. You probably think it’s all kisses and hugs from here. You have a direct full of IMG and LBL_label files do ya? Well the command we want to use is ciss2isis. Well then, don’t let me hold you back, read their instructions and give it shot on one of the images you downloaded. This looks darn scary. However if you download the original LBL files from the PDS manually without using the atlas_wget_scripts ‘s version, the problem becomes clear. The download script was accessing a new label file that had a poorly inserted ‘EXTENDED_ISS_SCIENCE_HEADER’. This was probably done by some batch processing job at PDS or Cassini imaging lab. This mistake on PDS managed to delete some of the lines defining the end of objects. This caused the ISIS3 command ciss2isis to freak out an die. Yet don’t worry .. this can be corrected. I have written a patch for these LBL_label files that will make then usable. In a new file, write the following contents. -                    continuation of a line begun in the previous packet. +                    continuation of a line begun in the previous packet." I saved the above as correction.patch. It can then be applied to all LBL_label files to make then work. You will now find that ciss2isis works. Here’s how I do that with multiprocessors. You now have a directory with cub files. You can view those with the qview command or export them with isis2std. There’s still more that needs to be done inorder clean up this imagery. I won’t tell you today, but I can hint what the next few steps will be. Have fun!